Taking centre stage on Court One, with biceps bulging and brow furrowed in determination, Serena Williams thrilled the crowds at Wimbledon yesterday as she got back in the game a mere eight months after giving birth to her first child. 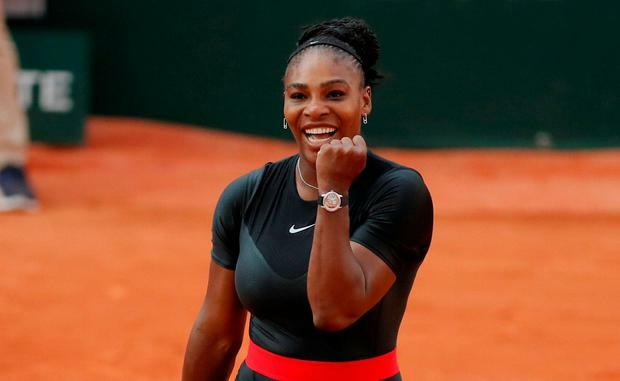 a baby, but Williams is part of a new wave of female athletes who are not just returning to their field after motherhood, but coming back stronger, faster, and more determined. If it was once thought that childbearing signalled the beginning of the end of a woman athlete’s career, Cork marathon runner Lizzie Lee can testify that’s far from the truth. The 38-year-old, who ran in the 2016 Olympics, was back in training just six weeks after the births of both of her two children, Lucy, four, and one-year-old Alison Kelleher. “Pregnancy can help a woman improve as an athlete,” says Lizzie. “For one thing, she has more blood volume, which increases cardiac output, and carrying around two extra stone for so long builds strength,so a woman can perform better after having a baby than before. It can totally be done, but I tell women don’t plan anything, or you’ll end up disappointed and frustrated. “I ran for Ireland in the European cross-country marathon five months after Alison was born, but I was lucky because I had straightforward pregnancies, and both babies slept through the night after 12 weeks. to put themselves under pressure during or after pregnancy, which in itself is the ultimate endurance challenge. 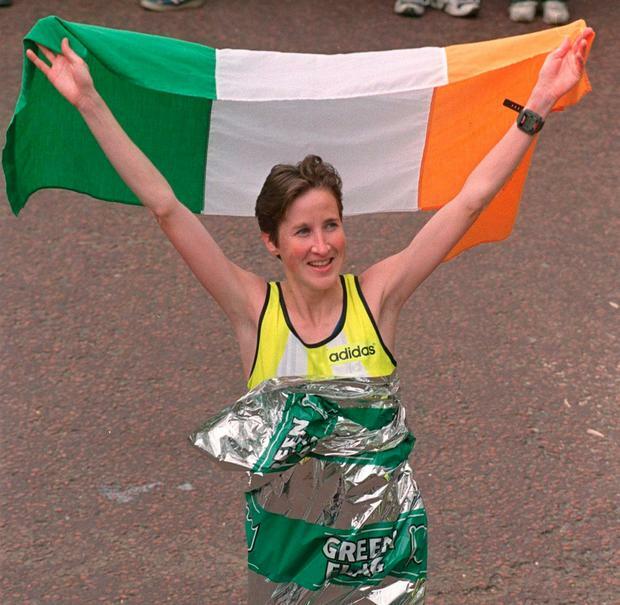 Her view is echoed by one of the biggest names in Irish athletics, London marathon winner Catherina McKiernan, who also has two children, Deirbhile (16) and 12-year-old Patrick O’Reilly. However, the former international long-distance and cross-country runner says that in her case, motherhood marked a definite change in her career. “I was 32 when I had Deirbhile and by then I had achieved nearly everything I wanted to in sport, and there wasn’t the same hunger I’d had previously,” says the 48-year-old who retired from competitive athletics in 2004 and now coaches people in ‘ChiRunning’ techniques for health and performance. “Some people feel stronger after having a child, and perform better, but I had a lot of miles on my legs,” she says. “Once you hit 30, if you’ve been competing for the previous decade, the bulk of your career is over. A sporting career has a fairly short life span. “I’d been so busy with running at such an intense level since I was 18, and now, 14 years later, I had a beautiful baby that I was besotted with. The same was true when Patrick came along four years later. I was very active through both pregnancies. I ran up to a few days before my children were born, and went back to training a month afterwards, but my priorities changed. The youngest of seven, Catherina grew up in a rural part of Cavan, where she says there were so few amenities children were challenged to make their own fun. While motherhood marked a whole new direction for Catherina, having a baby does not have to end an athlete’s career, according to physiotherapist Mark Buckingham, who treats elite athletes at his Northamptonshire-based practice Witty, Pask & Buckingham. Certain physiological aspects of pregnancy can even help athletes. As Lizzie Lee discovered, one benefit is the amount of blood pumping around the body, supplying oxygen to the muscles. Which is, simply, the best. Ask the expert: Is the mercury in fish likely to harm my unborn baby? A researcher who’s studied the effects of eating fish in pregnancy offers some reassurance. Lisa Salmon reports. 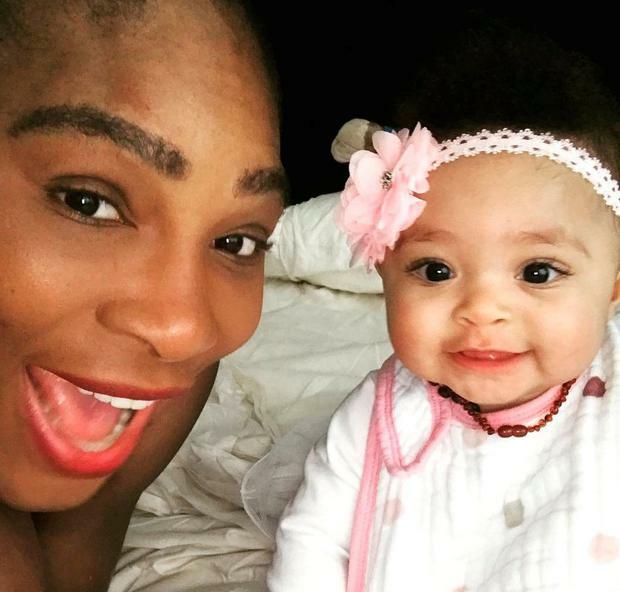 Bang Showbiz Serena Williams prayed and “cried a little bit” when she stopped breastfeeding. It’s that time of the year again as the summer holidays are here and you’re looking for fun and inexpensive ideas to entertain your child. The most important thing to keep in mind is that children, even the youngest toddlers, are perfectly capable of entertaining themselves with a little encouragement.